27th August 1916 - ? ​Walter was born c.1892 in Camden, New South Wales, Australia to parents George & Harriet Kettley, Elizabeth Street, Camden, New South Wales. On 3rd October 1915 aged 23, Walter gave up his job as a labourer and enlisted in 12th Australian Light Horse Regiment (7th reinforcement), New South Wales. 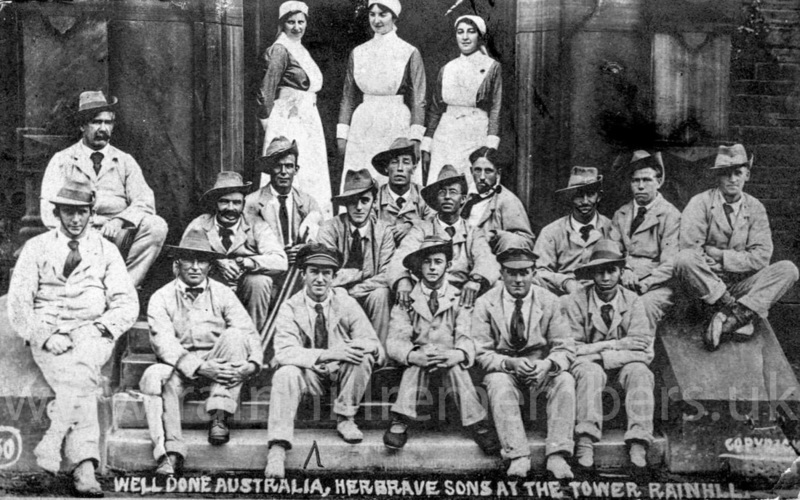 On 20th November 1915 he embarked from Sydney, Australia on HMAT Uganda A66 (Embarkation Roll number 10/17/2). Whilst on duty in Egypt, Walter was struck by a stone and was admitted to hospital with a fractured skull. 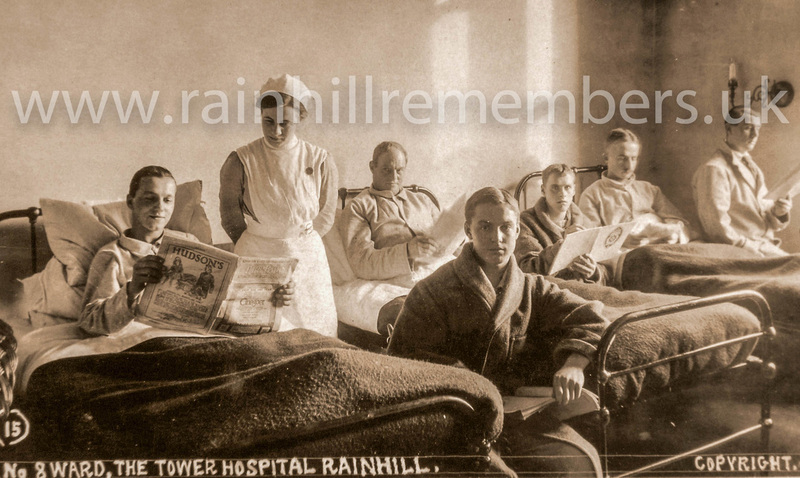 He was subsequently taken to England by hospital ship and on 27th August 1916 was admitted to Tower Hospital, Rainhill suffering from slight concussion. Walter recovered and later in 1916 was sent to France. On 2nd September 1918 he was wounded and admitted to a French hospital, being transferred to England six days later. 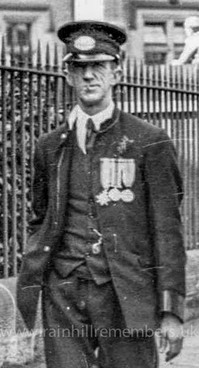 On 15th September 1918 he was discharged from Hospital in Weymouth. 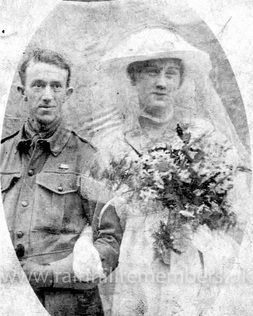 ​On 27th January 1919 Walter married Emma Gertrude Critchley (22years) at St Mary’s Church, Prescot, by licence. [PR 3404/2/21/212]. Her parents were William (miner) and Margaret Critchley of 13 Houghton Street, Prescot. On 3rd July 1919 Walter and Gertrude (as she was known) emigrated to Australia on SS Zealandic arriving in Melbourne on 23rd August 1919 for their onward destination to Sydney. 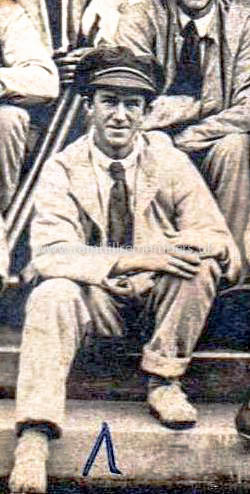 Walter was discharged from the army on 18th October 1919. He received the 1914-15 Star, British War Medal & the Victory Medal. After the war, Walter worked as a tram conductor in Sydney. He and Gertrude resided in Botany, Sydney and they had 3 sons and 1 daughter. One of the sons, Frederick Walter, served in the middle east during WW2. Walter died aged 49 on 1st October 1941. He is buried at Eastern Suburbs Crematorium, Botany, New South Wales. Emma Gertrude Kettley passed away in a nursing home in Maroubra, Sydney in approx. 1980-81. Information and images courtesy of Olivia Jackson - great niece of Gertrude Kettley (nee Critchley) and also from Vincent Kettley - grandson of Walter and Gertrude. Read about Walter Kettley and other interesting stories of Rainhill during WW1 in a booklet produced by Rainhill Civic Society. Details on our parent website.